We arrived in Taos, NM a bit late for me to get the camera out, so by the next morning I had an itchy trigger finger, ready to snap some shots. While the rest of the crew was getting ready, I slipped out the back door of the hotel room and stepped back in time. 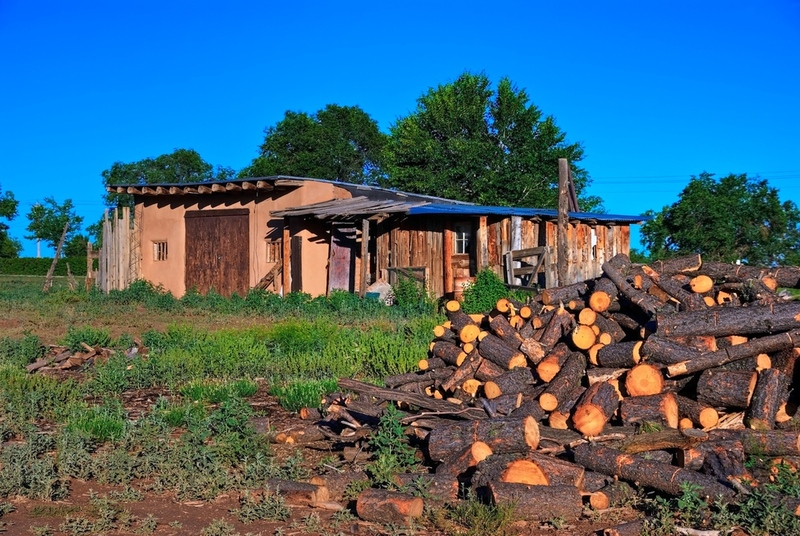 I was in an open field, surrounded by sagebrush, and saw this big pile of wood and the old adobe shed in the background. There were some little creatures running about - chipmunks or something? I have no idea what they were but they were cute little furry guys and they moved fast - perhaps me and the tripod were intimidating to them. Anyways, I was able to capture a few shots before reality encroached again.